Charlotte is slowly but surely stepping up its fried dough game. While donuts might not be a ubiquitous southern staple like fried chicken, Charlotte has quietly protected a small assortment of pretty incredible breakfast pastry spots for decades. 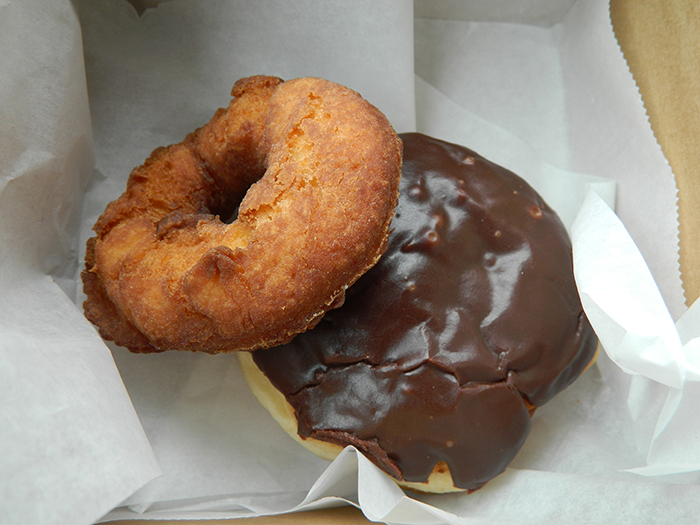 Growing up in Charlotte, donuts were typically a Saturday morning affair; acquired before setting out on a long list of errands that usually circled the Pineville-Matthews Road area, the Laundromat, Mr. 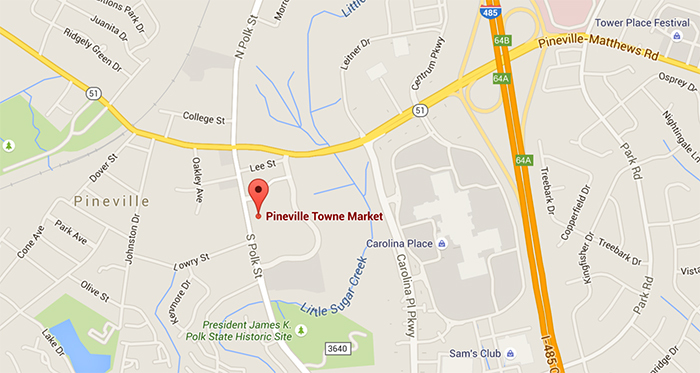 Inspection, and Carolina Place Mall were usually among the destinations. This meant the old school MJ Donuts was an all but necessary addition to our morning itinerary. 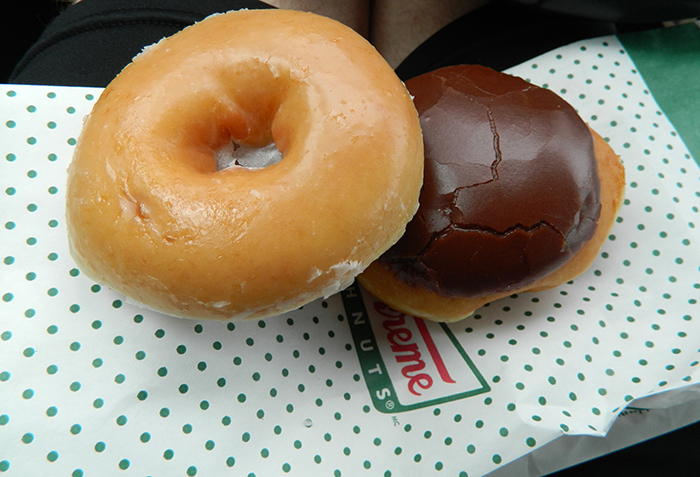 For a long time there wasn’t much else in Charlotte outside of two dozen, scattered Dunkin Donuts, three or four Krispy Kreme’s and Harris Teeter if you wanted to get your donut fix. The past decade has brought really high quality independent coffee to Charlotte and along with it places like Amelie’s, Suarez Bakery and a handful of other dedicated bakery or pastry shops. 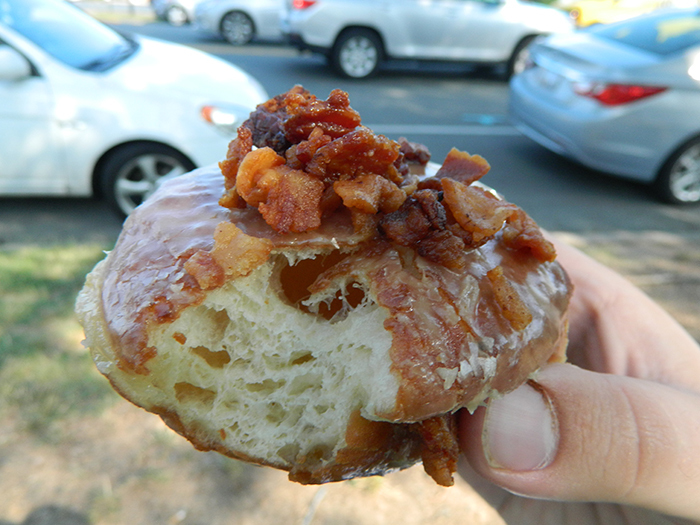 The dedicated independent donut shop has just recently started to take hold, in the past 2-3 years, in Charlotte in earnest and in the interest of seeing this trend continue I thinks its past time we sit down and talk about the best places in Charlotte to get a donut. Honorable Mention: Alright. Alright. I know this isn’t in Charlotte, nor is it particularly close to Charlotte. But it is in North Carolina, specifically Carolina Beach. 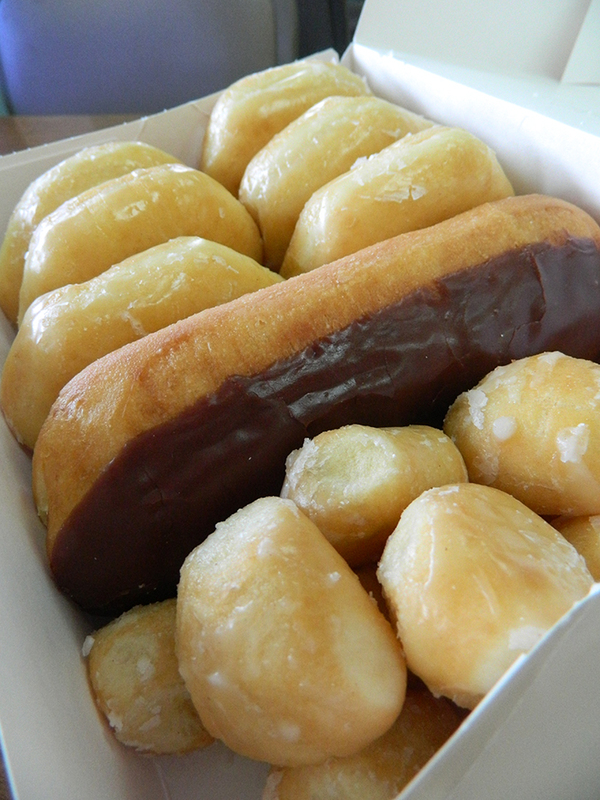 Bobby and Maxine Nivens have owned and operated Britt’s Donuts at the fair grounds on Carolina Beach since 1939. Guys, it is hard to put into words what eating a donut from Britt’s is like. I know for certain, that without too much hyperbole, a donut from Britt’s is the greatest single edible thing I have ever consumed. The yeast dough goes from the fryer, to a vat of glaze, to a bag in your hand in about 2 minutes; they are murderously hot and soul crushingly good. They would be number one on this list had they been in Charlotte. But, I figured since plenty of Charlotteans head to the Myrtle Beach, or Wrightsville Beach on vacation and Britt’s is 20-30 minutes from either of those places, it deserved a mention. Go there. You might suffer some second-degree glaze burns but you will be too euphoric to care. Now to the real business at hand: Charlotte Donuts. For reasons not too different from Bojangle’s on my previous list, this North Carolina, by way of Winston-Salem, brand deserves a shout out because of their consistently delicious hot-&-ready product. I know all of us feel that tiny twitch of temptation when we pass that red neon sign on Sharon Amity. 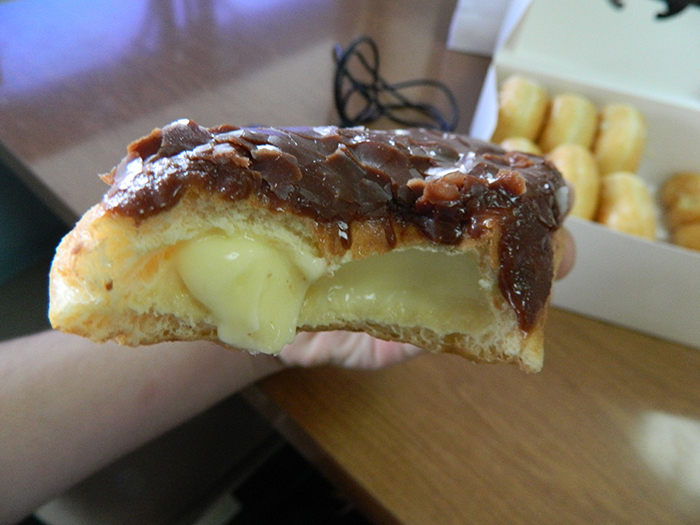 Admit it, there isn’t a lot in this world that is better than a fresh Krispy Kreme glazed donut. This is the red-shirt sophomore of the Charlotte donut game. 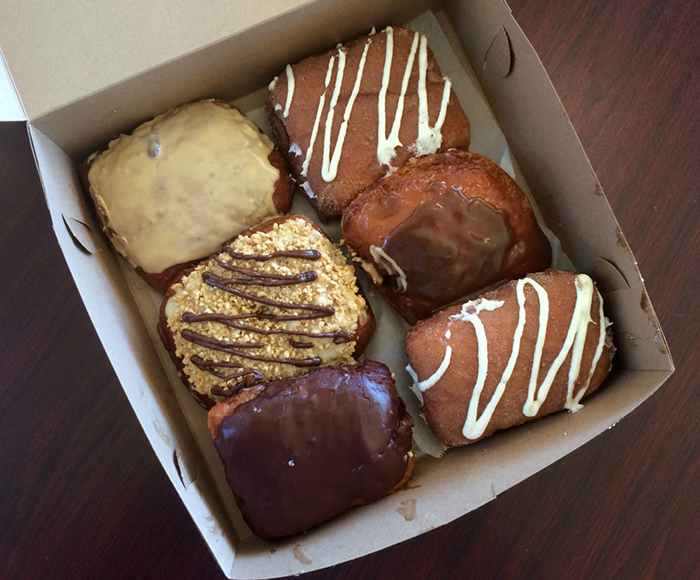 Their distinctively square, organic, handcrafted donuts come in a wide array of delicious seasonal flavors. Everything from orange glaze with toasted almond, to strawberry glaze with chocolate ganache – they have variety in their corner on this list. The owners Benjamin and Courtney also pride themselves on using the finest local farm to table ingredients, and friends of North Carolina farmers are friends of mine. Also, their retail location off of Monroe Road, just so happens to be next to one of my favorite Charlotte comic book stores (this might be future list to tackle) A. Pennyworth’s, so it doesn’t take much to get me to head their way on a Saturday mid-morning. Park Road Shopping Centre is just the best. If you didn’t already know this, now you do. Everything there is great; much can be said about almost every small business that rents space in this iconic Charlotte shopping center. 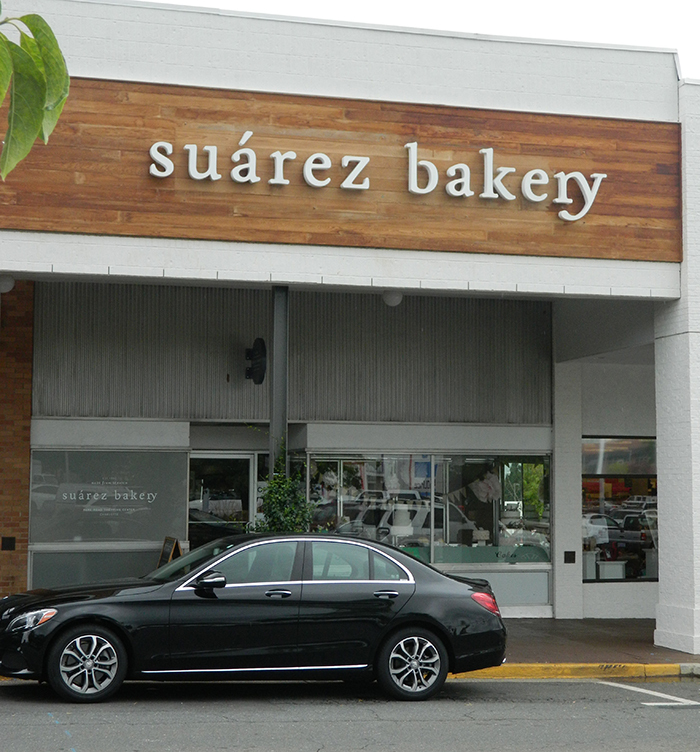 But the donuts at Suarez Bakery deserve special mention. 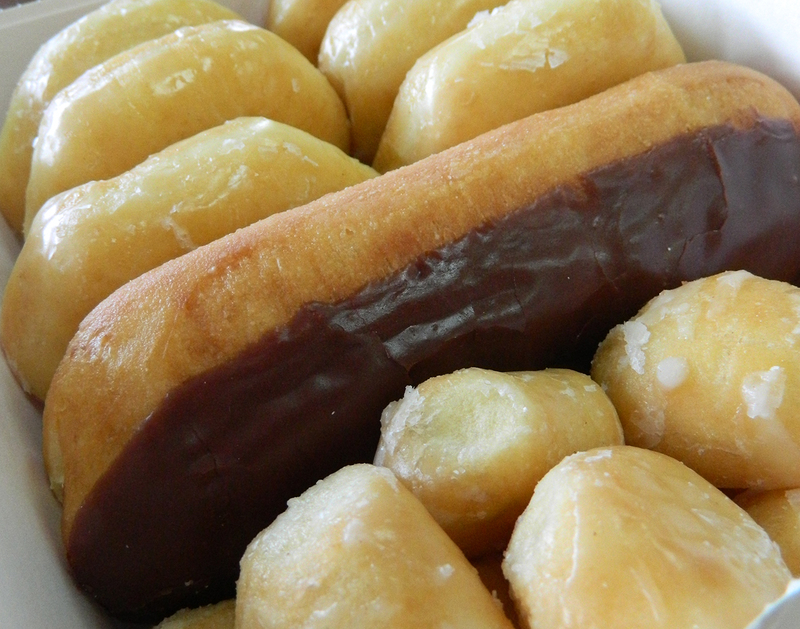 They run out very quickly, but if you can make it in early grab a Bavarian Cream and prepare yourself for an extremely serious donut experience. The vanilla extract in this donut just cuts through everything – light, creamy, yeasty the chocolate glaze is layered on in just the right ratio to supply every bite with an even dosage. Incredible donuts and you are a very short walk away from a huge Caribou Coffee and some of the best people-watching Charlotte has to offer. 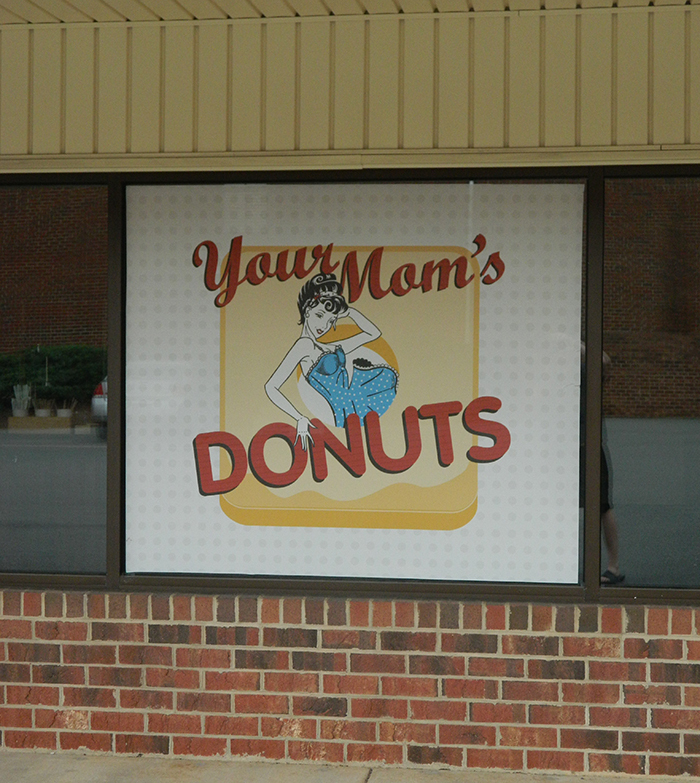 I might be nostalgically biased toward this hole in the wall off of Pineville Matthews Road but their donuts are damn good. This place hasn’t changed in twenty years, between the old crackly TV with local news tuned in, the wallpaper, and classic glass case with trays filled with classic flavors and a super satisfying product. They have the perfect soft consistency. The dough has perfectly uniform give and they just kind of dissolve in your mouth. Plus they throw like twenty-five donut holes into your bag or box with every order, and their prices are easily the best on this list. The quality to price ratio is simply off the charts. 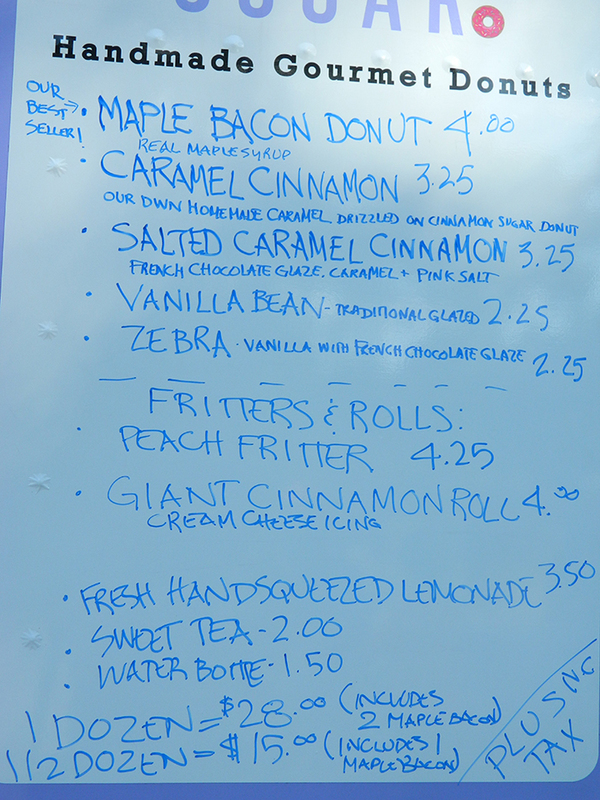 I’m partial to their Boston cream and classic glazed but I have heard many good things about their apple fritters – highly, highly recommend. Sugar is the newest comer to the Charlotte area donut game and I, for one, welcome our new donut overlords with open arms. 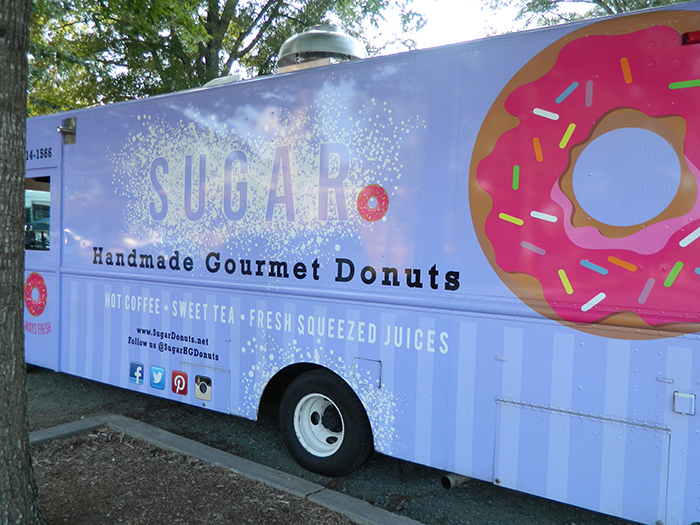 Currently operating out of a food truck, (you might have seen them at Charlotte or Matthews respective Food Truck Fridays) Kathi Alexander and Sugar Handmade Gourmet Donuts, has perfected the art of the yeast donut. I wear my heart on my sleeve – there has been a handful of food experiences in my life that have done me in like Julia Child. 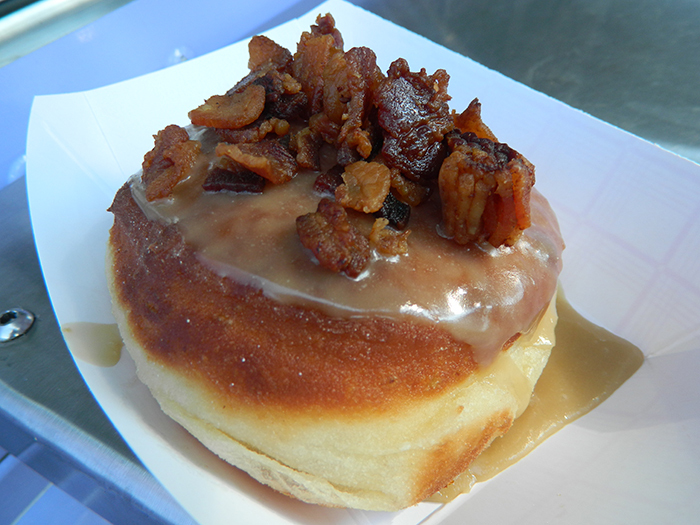 Sugar’s Maple Bacon donut was one of those experiences. 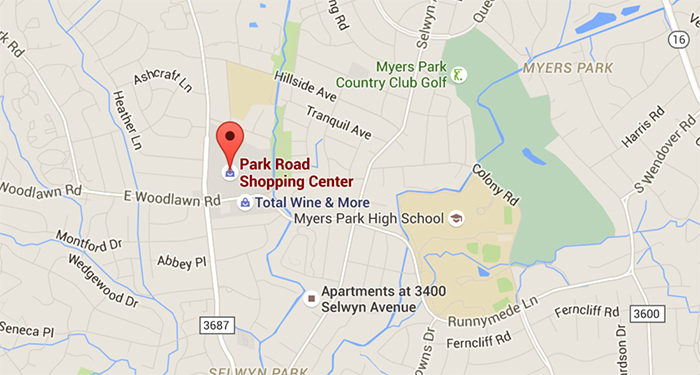 Keep an eye out for Sugar’s permanent retail location opening in September off of Elm Lane in South Charlotte. I can’t wait until I can get Sugar donuts on demand – I expect to see many of you lined up on opening day because, wow, without a doubt theirs are the best donut in Charlotte. I’ll let the photos speak for themselves. What do Google users want to know about Charlotte?